It’s not about different shapes eccentricity can take or heights it can cross. The article has portrayed the emerging cult of tattoo freaks who have bared their true self in an artistic way. The tattoos may not look artistic for the viewer, but they display the true nature life holds for them; as with Aubrey’s ‘transistor tattoo’ and Blake’s ‘DNA double-helix tattoo’. The aim of the effort of the geeks or nerds is to get the motivational spark from things that influenced and changed their lives forever. 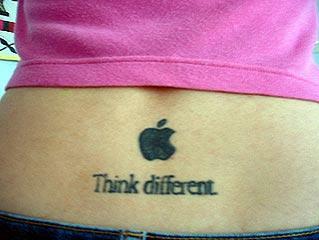 Amongst the real influencers, the ‘Apple‘ tattoo is the most famous of all times. Gamers are addicted to Nintendo or Zelda. Michelle, a brain institute lab worker, is having a special ‘neurons tattoo’. The article is a real tribute to the tattooed geeks. Rihanna gets a thought provoking gun tattoo! Duck Hunt tattoos- Incredibly cute!